The Boston Harbor Hotel is one of the participating properties in Hotel Week Boston. More hotels just joined the tally of participating hotels for Hotel Week Boston. Check out the official Hotel Week Boston website for the latest deals. The first ever Hotel Week Boston kicks off Feb. 16 – 23, 2014 with specially-crafted Boston hotel packages. Conveniently organized during February School Vacation, Hotel Week Boston is a great option for those who want a staycation in the city, or just know of some friends and family who want to come for a visit. Boston Harbor Hotel: Enjoy a 25 percent discount off of the Best Available Rate, breakfast for two, and a Chef’s amenity. The Charles Hotel: Reserve a deluxe guestroom for $219 a night including passes to The Rink at The Charles, breakfast for two at Henrietta’s Table or through in-room dining, and overnight parking. Four Seasons Hotel Boston: Reserve a room or suite as part of Hotel Week Boston, and receive a 25 percent discount off of the Best Available Rate, an upgrade at check-in (based on availability), and a Boston themed welcome amenity in your room. Hotel Commonwealth: Hotel Week Boston guests will receive a 30 percent discount off of the Best Available Rate, a welcome amenity, and overnight parking. Lenox Hotel: Reserve a night in one of the hotel's fireplace rooms, get a free bottle of wine and enjoy 30 percent off the best available rate. Liberty Hotel Boston: Hotel Week Boston guests will enjoy 30 percent off of the Best Available Rate and overnight valet parking ($47 value). The Ritz-Carlton Boston Common: Hotel Week Boston guests receive 25 percent off of The Ritz-Carlton Bed & Breakfast Package for Deluxe and Executive Suite. Includes Artisan BistroExpress American breakfast for two (inclusive of tax and gratuity); access to The Sports/Club LA housed within the same building as the hotel; overnight valet parking. 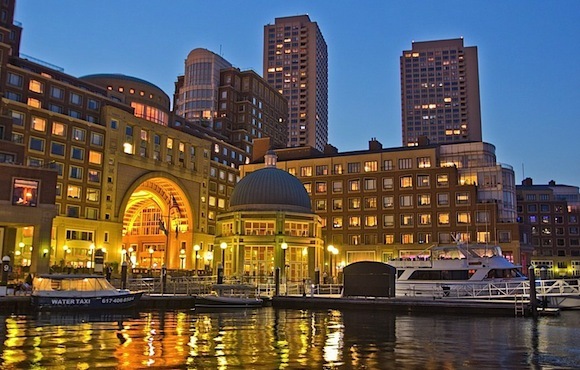 The Westin Boston Waterfront Hotel: Hotel Week Boston guests will receive a 30 percent discount off of the best available rate and overnight self parking ($35 value). XV Beacon: Take 30 percent off one of the boutique hotel's Beacon Hill Studio Suites along with a complimentary bottle of red wine. For more information on the hotels, offers, ways to book and fine print, check out the new Hotel Week Boston website.